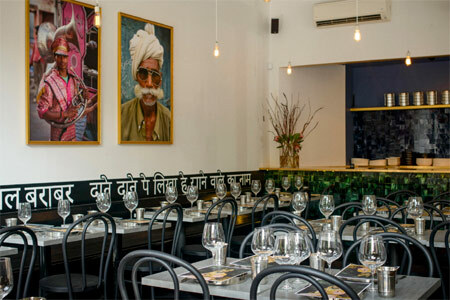 Indian fare by way of Melbourne at this sleek East Village spot. 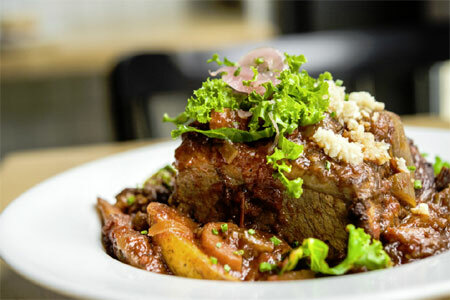 : This East Village eatery was opened by a couple who ran a restaurant of the same name in Melbourne. The Big Apple incarnation is a welcome addition to the Indian dining scene, particularly in this neighborhood where a few blocks away sits shabby Sixth Street with its rows of (mostly) mediocre Indian spots. Grab a craft beer from the self-serve fridge and peruse the long menu. For the indecisive, start with gol goppa, a crispy shell filled with tamarind, yogurt and chutney. When you bite into these crunchy balls your palate is splashed with flavor. Yogurt-filled croquettes have a similar effect. Butter chicken is at its most tender, as is the lamb, which has accents of fennel and cardamom and falls apart when hitting the fork. Save room for the satisfying pistachio, cardamom and honey kulfi, an ice cream that makes for a very satisfying way to end a meal at this sleek restaurant.